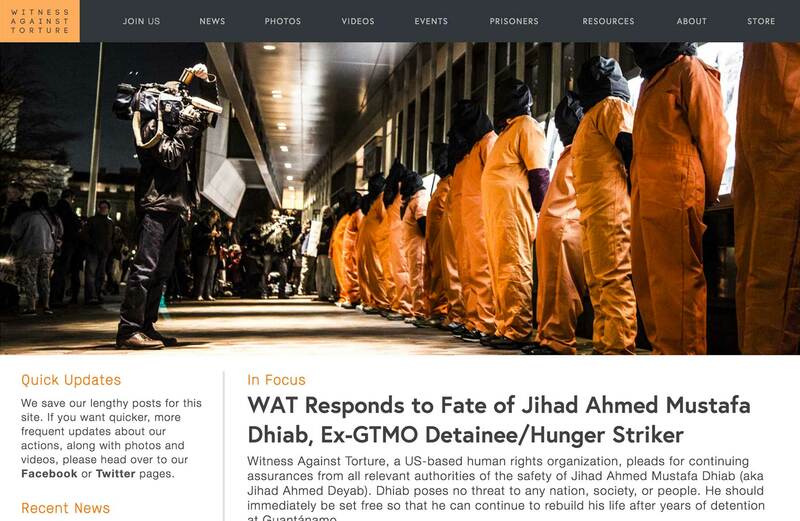 When I built the original Witness Against Torture site in 2009, the bulk of the content was text, with very little photo or video content to speak of. As the group grew over the next six years, that changed dramatically. The new site now neatly organizes over one hundred videos and thousands of photographs from protests around the globe, while retaining all of the text content from the previous site. Witness Against Torture formed in 2005 when 25 Americans went to Guantánamo Bay to protest the detention facility. Since then, the group has organized vigils, marches, nonviolent direct actions, and educational events calling for the close of Guantánamo, an end to U.S. torture, accountability for the torturers, and justice for the victims.